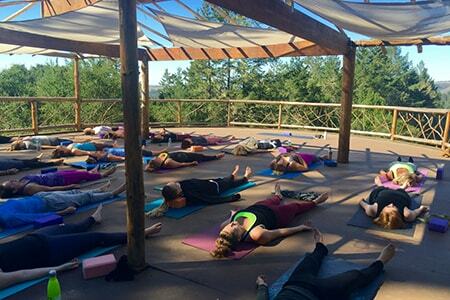 Feel Better Yoga features Body Flows as one of the Top 5 Yoga Retreats in California. "Finding the perfect yoga retreat can be difficult. Fortunately, if you're in the market for a yoga retreat, we have a list of the top 5 yoga retreats in California to make your choice a little bit easier", says Feel Better Yoga. Visit California features Body Flows' Yoga and Wine Tasting Experiences. It's all about balance at a Body Flows retreat - yoga, meditation, hikes, farm to table meals, and evening wine tastings before a dip in the hot tub. Recharge your body, mind, and spirit at this unexpected getaway. Proof Media features Body Flows' Summer Yoga and Wine Tasting Retreat and names our retreats as "one of the most popular yoga retreats in existence." We're honored to be listed and help share the gift of yoga and healthy vino with yoga and wine lovers! Woman's Day features some reasonably priced girls' getaways that can help you stay fit and bond with friends, and mentions Body Flows as one of these healthy and fun experiences. Come back from your next trip healthier than when you left! "Pair your vino with some vinyasa during a getaway that's truly one-of-a-kind." Elite Daily, the premium publisher reaching millennial women, features Body Flows in a great article about relaxing retreats to spend time with your sister, as well as find your zen! Body Flows is featured as one of the Best Yoga Retreats in Northern California, based on independent reviews and value for money. "Heading out to nature in The Golden State offers a unique opportunity to relax and unwind." by TravelMag. No matter where your interests lie, Vacation Idea shares the top things to see and do in Sonoma, including Body Flows' popular 3-day weekend yoga retreats with Yoga, Hiking and Wine Tasting, combining yoga, hiking, wellness, local food, and delicious wines. Vacation Idea shares the story of how Body Flows was born and founder Sally Mitchell's journey from the competitive corporate life to leading yoga retreats. Describing a Body Flows Retreat as "the perfect solution to escape the hustle and bustle of city life and relax, one of Sonoma County's most precious gems, and the perfect place to turn for yoga, massage, and more." Supercall, the spirit of cocktail and culture publisher, features Body Flows Yoga Retreats in a fun article about the best boozy yoga retreats! Although our retreats are not really too "boozy" nor wine-heavy, we do enjoy a few glasses of local organic, biodynamic, healthy and healing wine, after yoga of course! Body Flows is once again listed as one of the Best Yoga Retreats in California! Thank you Culture Trip. We are so thrilled to be featured. And yes, we couldn't agree with you more than wine tastings are a great addition to a yoga retreat! Body Flows founder Sally Mitchell describes 3 healing yoga breathing techniques, pranayama, that can help to reduce anxiety, as well as her personal story of overcoming anxiety attacks using these techniques. Body Flows' article on WeTravel discusses 5 top tips for leading a successful yoga retreat, after leading over 25 retreats in the last few years. "Think of it as more of an art than a science" whilst these tips will help you stay on track. SonomaCounty.com features Body Flows as a business that will help you plan a memorable Zen experience with a special twist that includes yoga and wine tasting or yoga at the beach. Shape Magazine features Body Flows Summer Solstice Yoga, Hiking & Wine Tasting Retreat as one of the best affordable wellness retreats. "There's no better backdrop than Sonoma wine country". Kimpton Hotels mentions Body Flows Yoga & Wine Retreats as one of their favorite Travel and Wine Experiences in California. 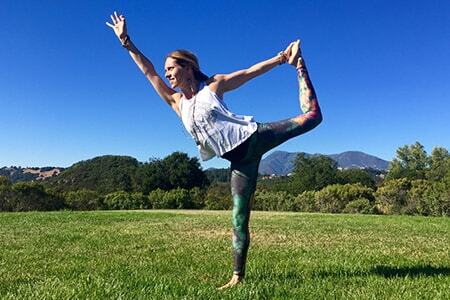 Say "om" at one of these beautiful and peaceful California yoga retreats. Body Flows named one of the 6 best yoga retreats in California, known for its relaxed and easy pace, and offers a variety of mind/body activities for a life transforming experience. Local San Francisco's premier editorial voice, 7x7, mentions Body Flows' custom outdoor yoga events at local Sonoma and Napa wineries as one of the best ways to detox then retox in wine country! Body Flows is named as offering THE #1 BEST Outdoor Yoga Classes in the Bay Area by CBS Local San Francisco Bay Area. We are thrilled and honored to be recognized! Author, runner and retired attorney, Patricia Burgess, wrote an article about running camps for adults, featuring Body Flows Running, Yoga, Pilates & Wine Tasting retreat that she attended. Dr. Anand Vora writes about 20 yoga retreats based in California, and all with the goal of rejuvenating you. Featuring Body Flows. Connect body, mind and spirit. Namaste. Body Flows Founder, Sally Mitchell, joins a panel of international expat women at a Women 2.0 seminar to discuss and share her career transition experience and challenges after moving to the USA and starting her own business as an entrepreneur. Runner's World interviews the Founder of Body Flows, Sally Mitchell, about the benefits and importance of practicing Iron Yoga for runners, including 5 key poses and sequences that will reduce running injuries.